Having contacted T3 in regard to holding a T3 session at the Parkview Care Home, we found residents, family members and staff alike keen to see just what T3 was about. With one of the residents being a former badminton champion and another having played ping pong for many years, we definitely saw their competitive streak come out. The staff were so delighted with the results, they now have a table permanently in their recreation room and the health and well being coordinators now use the T3 session plan as part of their activity programme. A unique bat created specifically for use by the elderly and those with movement restrictions in their hands. The T3 SuperLite is a unique bat, specifically designed to overcome problems by those living with Alzheimer’s, rheumatism or any other condition that makes a standard bulkier flat grip uncomfortable and hinder play. Following 2 years of UK research at various care and residential homes into the benefits of T3 3-a-side seated ping pong, the first designs were put into new R&D. Each version was an improvement on the last until the players were totally satisfied with their new bat, the T3 Superlite. This is the only featherweight bat of its kind, made of all natural materials and weighs only 97g, it really lives up to its name. Residents and staff of Elizabeth Lodge welcomed T3 to their care home to demonstrate the T3 session plan. With a mixture of abilities and some wheelchair bound residents, we were delighted that everyone could join in. Residents with movement restrictions in their hands who would normally find a standard bat too heavy, could easily take part and play with T3 Superlite bat, which weighs just 97g. It was such a success, plans are underway to revisit Elizabeth Lodge to hold another session. Smiles galore were plentiful all round when Marcus Duran, Community Engagement Coordinator for Our Lady’s Convent High School, and 6th form students, came to St Anne’s Nursing Home in Islington. The school’s ambition was to further develop its existing commitment to working with local people in the local community, focusing on practising innovative methods of engagement, particular across generations. T3 fit the bill perfectly. After two weekly lessons with the T3 team at Our Lady’s School, the students then prepared themselves until they became confident in all aspects of the T3 Session Plan. The next stage was putting it all into practice. Staff at St. Anne’s Nursing Home were only too happy to invite us back and let the girls take part in a T3 session. It proved to be such a success for both residents and students, that they came back and held another 3 sessions! 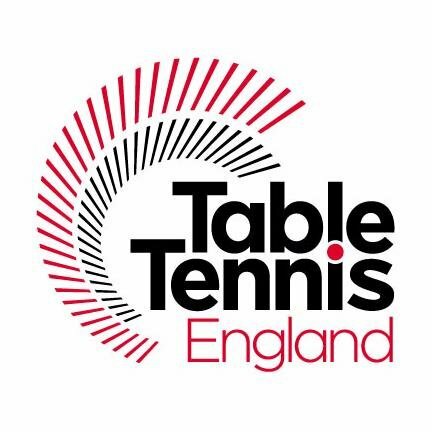 T3 were approached by Sanket Shah, an experienced coach and founder of Highbury Table Tennis Club with regard to setting up an outreach programme, taking T3 Ping Pong into the local community. Using the T3 Foundation ONE70 table, the programme aims to deliver up to 5 weekly sessions in local care and residential homes with a qualified coach playing seated/wheelchair and standing table tennis using the T3 Session Plan, a 60 minute official programme of activity, covering simple but effective drills, hand and eye co-ordination exercise and much more. 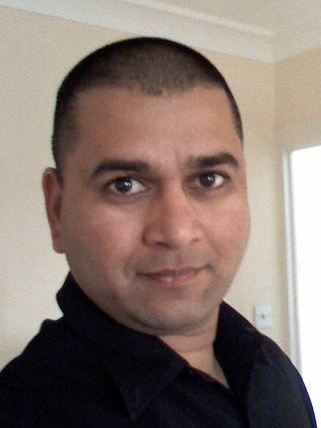 Sanket commented “Once the care homes get involved in the programme, and residents become active and familiar with taking part in regular exercise, we can invite them to have friendly matches with other homes, and involve them with our club. So many of our ex professionals would like to share their experience and get involved in this programme. We hope to generate funds we can roll back in and become the first club to officially train more players and coached to qualify to deliver the office T3 Senior Session plan. We will also keep T3 table tennis tables at the club after the project so that we can continue to offer daily sessions”. The first programmes are due to be launched in 2018, so we will keep you posted. We were delighted when Andy Naylor, Client Participation Coordinator at Age Concern Islington, got in touch to enquire about T3. After meeting volunteers and taking them through a T3 Session Plan, we were thrilled to be told that T3 Ping Pong is now a permanent fixture within the activities programme at Drovers Centre. Runk & Pratt took delivery of a T3 Table (the only one of its kind in the US) for their Liberty Ridge facility. Working in partnership with the table tennis team and coaches at Liberty University Medical School, studies are being carried out on how the game of ping pong affects those with Alzheimer’s or dementia. Charlie Hancock, Activities said “When I told one of the residents, that the T3 table was getting moved to memory care wing, she said “you can’t do that, we want it here so we can use it. The laughter in the room, and smiles on the faces were contagious”. In the lead up to Dementia Awareness Week 2017, the T3 Foundation visited Silk Court Care Home – Anchor in East London for a day full of ping pong activities. Supported by Barclays UK as part of their Citizenship Day programme, T3 were able to host multiple hour-long sessions in one day so that residents on different floors of the home were all able to take part. It was a fantastic result seeing smiles on many faces and hearing the rooms fill with laughter while residents batted away. See how the session went on our YouTube channel! St Anne’s Nursing Home in Islington were the first to trial T3’s new SuperLite Bat developed specially for use by senior players. To celebrate the Good Friday bank holiday, St Anne’s hosted an open day with T3 to bring together friends and family of residents and demonstrate the social benefit of the new activity they have welcomed into their residency. After a year of continuous research into adapting the activity to meet care home needs, T3 revealed their new bat which was created to support as many people to pick up a bat and get involved. This new bat weighs under 100 grams and features a plain wood finish on one side giving it an extra ‘PING’ when hitting a ball. The rounded handle and lighter weight meant that participants could stay involved in the activity for much longer without feeling tired from the movement. A fun time was had by all of those involved in this day and T3 would like to St Anne’s and Anchor for taking on T3 as one of their scheduled well-being activities, at least 3 times a week! Thank you also to Sainsbury’s Local Mercer’s Road (N7) for their very generous donations of Easter treats for the residents of St Anne’s. T3 have continued to study the benefits of seated T3 for residents in care homes living with dementia. Starting in 2016, The T3 Academy began visiting care homes in the North London area to test how T3 would be received by residents. The results since our first care home visit have been astonishing and led to our 12-week programme at Trees – Hill Homes. Steve Drew, Manager at Trees, agreed to our 12 week plan after seeing the positive impact of session first hand. Half an hour into the session our participants already show a change in behaviour. By the end of the session everyone is sitting happy around the table engaged in conversation. After only 5 weeks we are already beginning to see improvements from our regular participants. Our attention has been focused on the physical, mental and emotional impact of T3 on the residents. Through observation we can already see improvement in table tennis skill with rallies continue longer than our first session. They are also enjoying the social benefit of T3 shown through the playful and friendly exchange of teasing remarks around the table. The main difference is spotted once the session ends. A room which was quiet when we walked in is now filled with conversation as we are leaving. For enquiries regarding our care home activities please contact us by email. A cold windy Tuesday evening did not stop locals from Holloway coming out and showing the best of true ‘community spirit’ to support T3 Academy’s first ever ping pong party held at The Edward Lear. The ticketed event opened by The Worshipful the Mayor of Islington, Kat Fletcher, and consort, The Reverend Melanie Toogood, included a welcoming drink and a free mince pie on arrival. Followed by a night of ping pong fun by taking part in a knock out tournament, all for a fantastic cause. 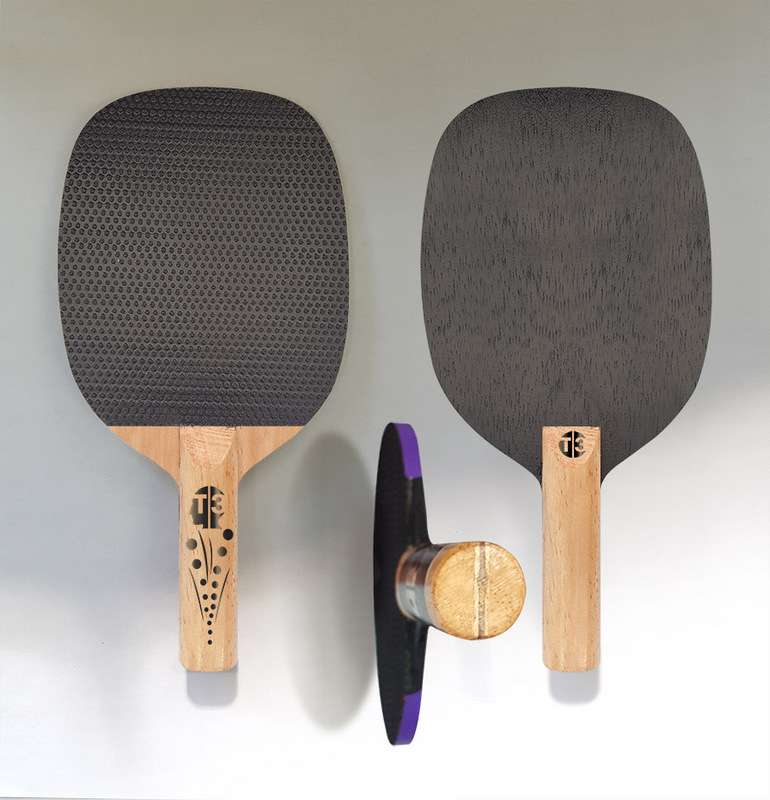 T3 showcase benefits of Ping Pong on World Alzheimer’s Day! 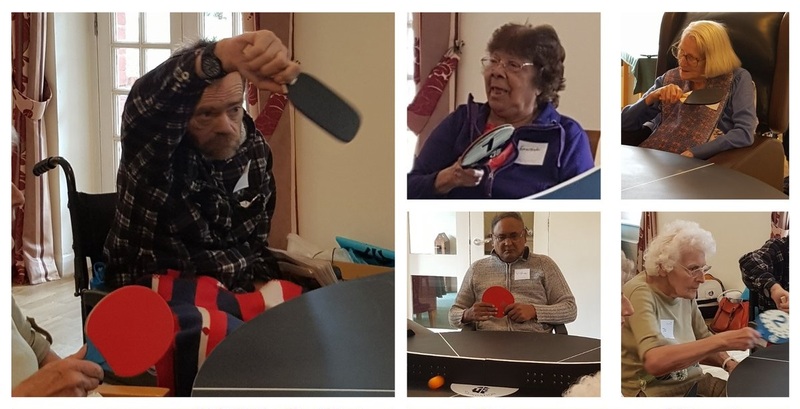 To celebrate World Alzheimer’s Day T3 Ping Pong and Hill Homes, a residential care home in North London, are delighted to announce that they will partner for stage three of T3’s research into the benefits of playing ping pong on those suffering from Alzheimer’s and dementia. T3’s round design means that more players can play at the same time and can surround the ball so it is less likely to leave the table, another benefit is that they can play seated! No special chairs are required meaning players can use their standard lounge chairs or wheelchairs. For this reason it has been possible to work with very elderly and advanced suffers of the conditions which would be impossible with a traditional table. The best exercises and games to play by physical and mental ability/condition. The best ball colour, weight and size depending on the players physical agility and mental ability. Optimum time per session and activity structure. The remarkable benefit to the social and emotional well-being of the participants. The clinical benefits of playing and ideal frequency. The psychological benefits of participation and their longer term effects. the social benefits of the game to the residents and carers within the care home. The rates of improvement among participants over the research period.